At Mestdagh, Wall & Hamilton, P.A., we represent local, regional and international clients, including individuals, landlords, developers, lenders, small business owners, general contractors, and subcontractors in real estate, business and civil litigation matters. The firm practices real estate and business law in a wide variety of venues across Central Florida, from the conference room for your closing to the courthouse in circuit court. The firm helps clients understand the risks of property and business ownership and avoid liability against both the government and private actors. 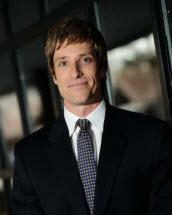 The firm also serves the litigation needs of its clients in areas of real estate and business. This includes disputes involving timeshares, contracts, mortgages, shareholders and construction defects. The firm is committed to using its knowledge of the law and of the Central Florida area to best serve its clients. Above all, we at Mestdagh, Wall & Hamilton, P.A. believe in providing personal service, directly addressing each client’s needs and concerns, and achieving each client’s goals as competently, efficiently and effectively as possible.